The most mysterious member of the sea turtle family, little is known of the flatback turtle, which has a limited range off the coast of Australia. Flatback sea turtles are found in coastal waters, and are reported to bask in the sun at the surface, sometimes with sea birds perched on their backs. 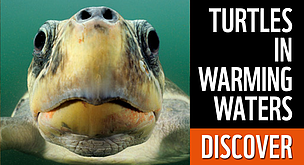 These turtles prefer shallow, soft-bottomed sea bed habitats that are far from reefs. They only very rarely leave the shallow waters of the continental shelf, and nest only in northern Australia, where beaches on small offshore islands are the most important sites. This is in stark contrast to the behaviour of all other marine turtle species, except for Kemp's ridley. The flatback has a flat body and smooth carapace (shell) with upturned edges. It is also recognized by a single pair of prefrontal scales at the front of the head, and 4 pairs of costal scutes on the carapace. Adults flatbacks may reach 90kg and up to 1m in length. The carapace of this turtle is yellow-grey or a green-grey, while the plastron (underside) is usually pale yellow. The nesting season runs from October to February in Queensland's Northern Territory, but may extend to the entire year in Northwestern Australia. Flatbacks can nest up to 4 times in a season, and the interval between each nesting event may be anywhere between 13 and 18 days. An average of 50 eggs are laid each time. The flatback turtle is predominantly carnivorous, feeding on squid, sea cucumbers, soft corals, and mollusks. Flatbacks are also threatened by predation by foxes, feral dogs and pigs and more recently the occurence of green turtle fibropapillomatosis. Its restricted range means that the flatback is extremely vulnerable to habitat loss, especially of breeding sites, but the most serious threat appears to be incidental catch by fishing vessels operating in the area. Flatback turtles are a priority species. WWF treats priority species as one of the most ecologically, economically and/or culturally important species on our planet. And so we are working to ensure such species can live and thrive in their natural habitats. 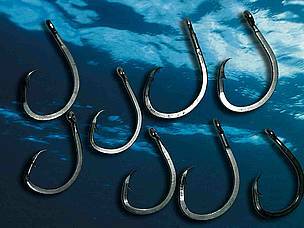 Large circle hooks significantly reduce the mortality of marine turtles in longlines. WWF promotes smart fishing to reduce bycatch. The flatback turtle is the only marine turtle which does not spend any part of its life in the deep ocean. Flatbacks were originally thought to be a type of green turtle and were not described as a separate species until 1988.